Dontaira Terrell is a Florida A&M University graduate, communications strategist and highly sought after lifestyle journalist with a penchant for fashion, beauty, social buzz, travel and health + wellness. 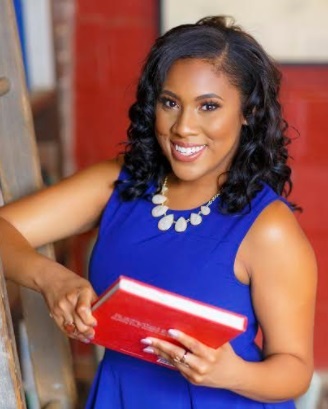 As a 7-year editorial veteran she has interviewed and colloborated with several brands and many celebs such as Lisa Leslie (WNBA), Eva Marie (WWE), Tyra Banks, Jim Tressel, Solage Calistoga, Hillshire, Sleep Number and Boston Market. Her love for documenting life' s best moments happened as a youth, consuming local and national news, engrossing herself in travel adventures and a variety of magazines, newspapers and books to read. 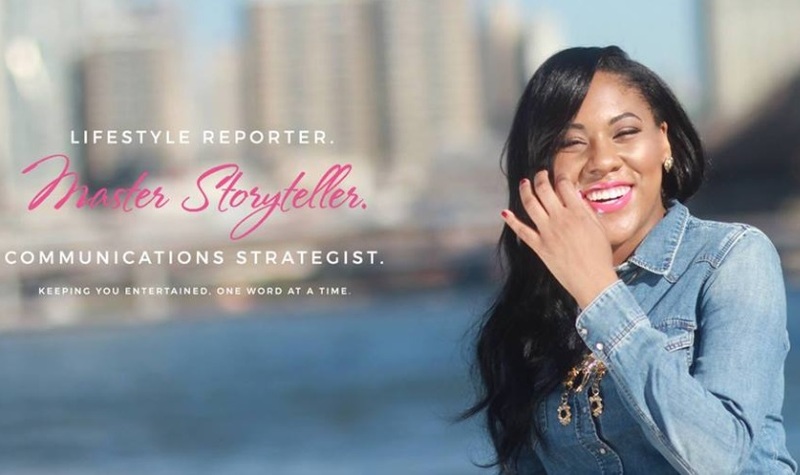 Writing in her journal and practing her "on-air" personality in the mirror behind closed doors is a thing of the past, as she now provides her insights and reporting for companies such as Black Enterprise, & The Huffington Post. Being a bridge connector by tailoring a specific message to help other people’s stories reach the masses is what I do best. I love being a storyteller and being in the position to shed light on issues or circumstances that are often overlooked, silenced or ignored. The greatest feeling is receiving feedback from readers who state they were able to truly connect with one of the articles I have written. What makes me the best version of myself is that I relish in celebrating others success. I always try to support family and friends the best way I can because I love seeing the people around me living their best life. I am extremely thoughtful and I make it a point to remember those special moments that will put a smile on someone’s face whether it is a birthday, anniversary or holiday. Even being there for those not so good times such as the loss of job or breakup. Either way I am still rooting for you to fuel your pain into purpose. My personal aspirations are to build a family, establish a non-profit in honor of my late mother and create a career and generate wealth that would allow me to live bi-coastal and travel without limitations. My professional goals include owning multiple businesses and transitioning my writing and interviewing skills from being behind the keyboard to in front of the camera as an on-air talent. My biggest success was being invited to the White House under the Obama administration to cover Michelle Obama’s “Beat the Odds Summit.” Also, landing my first celebrity interview and having the opportunity to go back to the campus of Florida A&M University, my alma mater, to mentor aspiring journalists and future storytellers. My most challenging moment was writing and producing content while I sat next to my ailing mothers hospital bed. I worked tirelessly and my ambition was at an all time high because during this time writing was very therapeutic for me. Plus, I was able to bond with my mom during her last days as I read my articles to her out loud. With one blink she would give me her stamp of approval and with two blinks she knew there was something missing or I could do better. Legendary poet and activist, Nikki Giovanni perfectly captures my personal mantra that I strongly believe in. “I really don't think life is about the I-could-have-beens. Life is only about the I-tried-to-do. I don't mind the failure but I can't imagine that I'd forgive myself if I didn't try." Personally, my favorite people are my family and close friends. I am fortunate to have an awesome support system. This entrepreneurship journey can become difficult at times but knowing you have an amazing tribe behind you makes it much easier to maneuver through the winding roads of this thing called life. Professionally, I have several role models. One in particular is Robin Roberts because she has overcome a vast deal of adversity and still remains a bright light in many people’s lives. She encourages legions of young women to be the architect of their destiny and has set an example for women to walk in their purpose and conquer their dreams. My favorite places are New Orleans and South Africa. Although, they are located on different continents both destinations have amazing cuisine and are rich in history and culture. Each time I visit I feel right at home. My favorite products are books, music, refreshing candles, a great lipstick and my laptop of course, because that is how I get all of my work done. I almost never leave home without it! My current passions are traveling, writing and building my empire. When I am writing my source of inspiration often stems from my travels which further contributes to my overall career success. I am also passionate about lending a listening ear to those who are grieving or having a tough time maneuvering through the day-to-day. After the loss of my mother and as I’ve gotten older I enjoy being a resource to help others overcome trials and tribulations they may be experiencing in their lives. Life is so much better when you have a support system and the understanding that you are not alone in your pursuit of happiness and peace of mind.